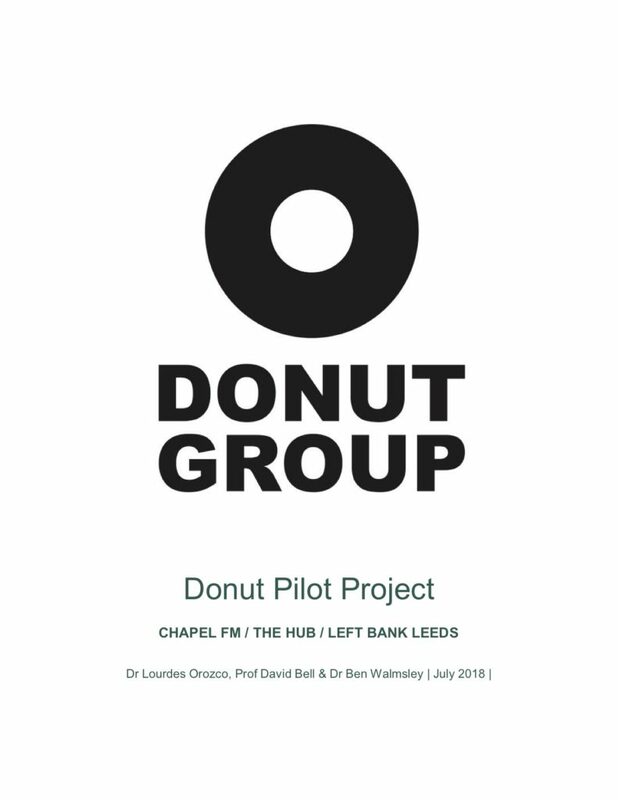 The Donut Pilot is a research project investigating the impact that three small- scale arts organisations working outside of the Leeds city centre—Chapel FM, the Holbeck Underground Ballroom (HUB) and Left Bank Leeds—have on their audience and on their immediate neighbourhood communities. The project also assessed how these venues contribute to the wider cultural provision of the city. For us this is a really crucial piece of work. Although there has been lots of research looking at the role of large scale arts-based regeneration initiatives in cities which has highlighted both positive and negative impacts, there is a dearth of research on small-scale initiatives. The recent AHRC funded Cultural Value Project suggested that small scale cultural assets could be more sustainable in developing communities compared to some of the negative outcomes seen in large scale initiatives eg gentrification of areas. But again they pointed out that the research has not been done. There are two main outcomes from this initial research, a report and a video (both below). A big thanks to Lourdes Orozco, David Bell and the team at the University of Leeds—we believe that this represents the first steps towards an extended research project that will really seek to understand the impact of places like Chapel FM.